With 16 Jack Reacher books under his belt, Lee Child has at times alluded to backstory that the fans will not only want to know but demand, so it was with great joy that I managed to get an early copy of this book to enjoy. What unfurls within is a story taking us back to his early days when he first starts out in the life to which he is now famed. It’s cleverly written, fills in a lot of the details and gives the reader an adventure that gets back to the roots which allows the reader to see why he developed the way he did. It’s cunning, it has some great twists and with a secondary character that tests him all the way it’s a story that gives you a more rounded opinion of the character. 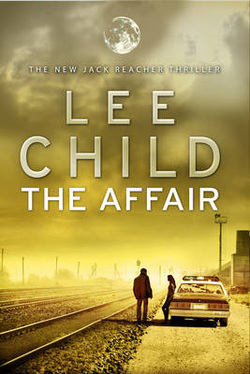 As with Lee’s usual writing, it’s fast paced, the action is crisp and bloody and when you add the authors penchant for twists as well as misdirection it’s one that’s hard to put down. Of the two series by JR, this is my favourite as I love the concept and the interlinking characters between the series. 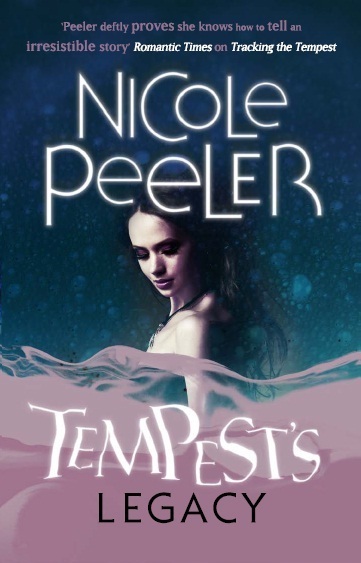 It’s well written, the characters are well rounded and have foibles as well as boons that give them a more realistic bent to the whole scenario. Add a few wicked twists, some cunning sleight of hand and an angle that you’re never sure if its just typical of mankind to screw up or a nefarious plan by the darker side of the series and you have a series that’s hard to put down. Finally back that up with an easy to identify authors writing style, great prose and a cracking overall arc and it leaves a very happy reader. This winter, gamers will discover just how much swordsmanship, charm and flair one cat can contain, in THQ’s (NASDAQ: THQI) Puss In Boots video game, scheduled for release just prior to the debut of the new animated comedy-adventure from DreamWorks Animation SKG, INC (NASDAQ: DWA). Available on Kinect™ for Xbox 360®, PlayStation®3 (Move-compatible), Wii™ and Nintendo DS™, the Puss In Boots video game takes players on a wild journey into the past of the legendary hero, long before he met Shrek. 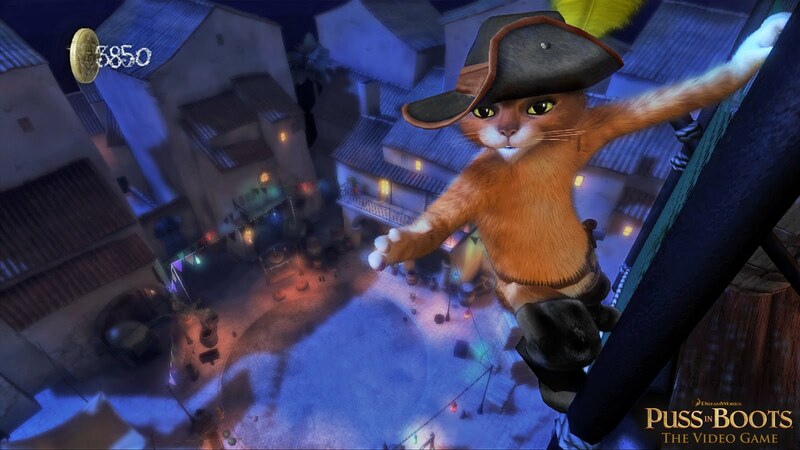 In this swashbuckling adventure, players must master the ways of the sword and tap into their sly feline capabilities to help Puss clear his name, repay the citizens of his hometown of San Ricardo, and even serenade a few señoritas along the way. With real-time swordplay woven throughout the Puss In Boots video game, players will swing, kick, block and unleash special attacks, like the adorable yet deadly “Claw Frenzy.” With practice, players will also master Puss’ stealthy ways as they climb, leap and sneak to avoid detection. On Kinect for Xbox 360, players can actually become Puss, stepping into his boots and utilizing full-body motions to fight off banditos – dodging attacks, engaging in fast-paced sword fights, strumming the guitar, and wiggling to escape enemies’ clutches. In the PlayStation Move-compatible version for PlayStation 3, players can choose between their trusty controllers or the Move remote, which allows them to engage in motion-based swashbuckling. Taking up the Move remote allows players to master the sword in a full-motion sword fighting experience. With Wii, adventurers use the Wii Remote™ to slash with Puss In Boots’ sword, the Nunchuk™ to dodge enemy attacks, and button combinations to perform special attacks that deliver devastating damage to foes. On Nintendo DS handheld systems the movie’s storyline continues with an all-new plot that finds Puss engaging in dynamic swordfights, flamenco style dance battles and dozens of other mini games for endless on-the-go fun. Now his stark and savage journey is over. After a thousand years in a grey world, he has accomplished everything he set out to do. His brothers are safeguarded. Each has found a woman who completes them. And they are at peace. For his brothers, Zacarias has walked the edge of madness, but with centuries as a killing machine now left to the past and without a hunt to define him, Zacarias wonders, for the first time in his life, who he really is. To be honest with you, whilst I’ve enjoyed the Dark Carpathian titles this one felt a bit of a let-down, the lead female was demur and as such I couldn’t find much to like about her which made this a real struggle to get through. Add to that the lead male was all me, me, me within and it really was a title that I felt I could have missed. That said, I could see the ideas and concepts behind the overall tale but sadly it’s the execution that fell more than a little flat for me. Add to this repetitive use of themes from previous outings and an author who needs a break from some of the wider arcs and it’s a title that you can quite easily miss without denting the series too much for future releases. Born from a lab-enhanced clone mother and an Aedh father, Risa Jones can not only talk to the souls of the dying and the dead, but she can see reapers and walk the grey fields that divide this world from the next. They are skills she rarely uses, however. But when her mother asks her to help the parents of a little girl locked in a coma, she reluctantly agrees. What she discovers terrifies her: someone has ripped the girl's soul from her flesh. As it turns out, a creature consuming the souls of the innocent - and not so innocent - is the least of her problems. Because someone wants to rip open the gates that divide hell from earth, and Risa is a key component in their plans. And the only person standing between her and disaster is a reaper who isn't exactly on her side. Keri returns with a new series and one that will keep you gripped from start to finish as our heroine, Risa Jones, must get to the bottom of a case where someone is ripping the souls from bodies not yet ready to pass. 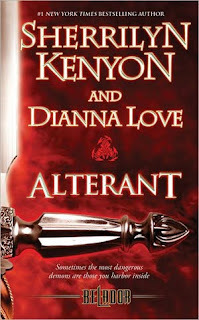 It’s inventive, it has great characters and it’s the story that will keep you glued from start to finish. Add to this solid prose, some magical twists alongside a great overall arc that will lead to multiple options and it’s a story that you really have to read as soon as you can. 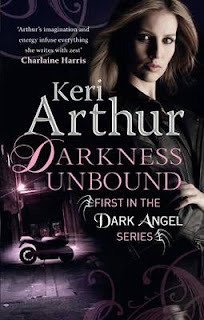 Book two will be available pretty soon after (about a couple of months after this one’s original release) so if you want to try Keri and see what the word is all about, this is perhaps the series for you. Great stuff. In this explosive new world of betrayals and shaky alliances, the only Alterant not incarcerated faces an impossible task - recapturing three dangerous, escaped creatures before they slaughter more humans . . . or her. 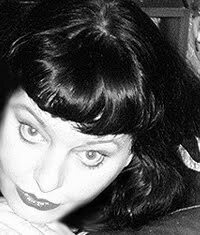 The way Evalle Kincaid sees it, saving mankind from total destruction should have cleared her name. But when words uttered in the heat of combat are twisted against her, she's blamed for the prison break of three dangerous Alterants. She has one chance to clear the cloud of suspicion hanging over her. All she has to do is recapture the escapees. But deals with gods and goddesses are tricky at best, and now the lives of all Beladors - and the safety of innocent humans - rides on Evalle's success. The only person she can ask for help wants to see her dead. 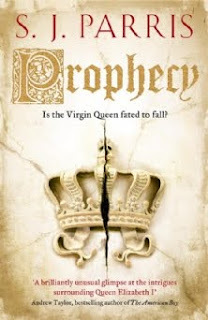 Having read and enjoyed the first title in the series (Blood Trinity) I really couldn’t wait to see if the second book would build upon the success of the first or cause the world to come tumbling down. What unfurled within was a title that was just as exciting, the characters continue to grow emotionally as well as physically as they come to accept their roles in their own world. Add to this a title that benefits from having two authors as well as allowing great pace and prose to rule the roost and it’s a story that was a lot of fun to read. Cracking good fun and with luck one that will have a good few other adventures within. New authors always have a lot to prove to the reading audience as they only really get one chance to make an impact. In this his debut title Drew throws caution to the wind and demonstrates in his Science Fiction title that mankind is not only doomed to make the errors of the past but also that the more enlightened human traits should be lauded as well as our possible saviour. It’s cleverly written and with a lead character that we can all associate with in some form or other, it’s a title that is not only poignant to our own future but one that will strike a familiar chord within us all. Add to this a great sense of pace, some wonderful prose which when backed with the authors own unique sense of style really made this title something unique in the Science Fiction world for me. All in, a real joy to read and I really can’t wait to see more by this author. 2 April 1879, St Petersburg. A shot rings out in Palace Square. The Tsar is unhurt, but badly shaken. Cossack guards tackle the would-be assassin to the ground. And in the melee no one notices a pretty, dark-haired young woman in a heavy coat walk purposefully away from the scene. Russia is alive with revolutionaries and this is just one of many assassination attempts on the unpopular Tsar Alexander II. For Dr Frederick Hadfield, part of the Anglo-Russian establishment with a medical practice dependent on the patronage of the nobility, politics is a distraction. 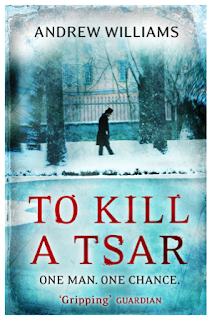 But when he meets the passionate idealist Anna Petrovna, he finds himself drawn into a dangerous double life. Set in a world of stark contrasts, from glittering ballrooms to the cruel cells of the House of Preliminary Detention, from the grandeur of the British Embassy to the underground presses of the young revolutionaries, To Kill a Tsar is both a gripping thriller and a passionate love story. To be honest whilst I do enjoy a thriller, this one was a little too political for me, yes the author did a good job of presenting the themes within the book but when you start getting a little too deep it detracts from the other events within that I was more interested in. That said, the characters within were interesting, the pace was decent and the prose fit the title to a T. Finally add to the mix an author who is just as enthusiastic about the subject matter kept me going through the harder parts. I may look into Andrew again in the future, but for the moment I need a book that doesn’t require any real thinking. 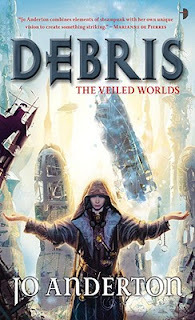 When an accident leaves her powerless, penniless and scarred, Tanyana must adjust to a new life collecting magical garbage - 'debris' - but starts to realise debris is more important than anyone could guess. The Veiled Worlds story is something that’s pretty unique out there at the moment, the world building is spectacular with a concept that’s amazingly simple yet wonderfully constructed and when added to some decent characterisation it’s a title that really does make you think as well as give you something ideal. Add to this an author who really believes in giving their all and this debut is pretty impressive. Angry Robot is a name that’s fast becoming one of the publishers to redraw the lines on quality, authors and of course stories that will have readers demanding more. Great work. 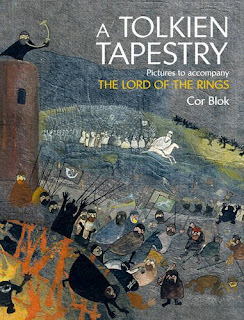 Fifty years ago, shortly after The Lord of the Rings was first published, Cor Blok read the work and was completely captivated by its invention and epic storytelling. The breadth of imagination and powerful imagery inspired the young Dutch artist, and this spark of enthusiasm, coupled with his desire to create art that resembled a historical artefact in its own right, led to the creation of more than 100 paintings. The full-colour paintings in this new book are presented in story order so that the reader can enjoy them as the artist intended. They are accompanied by extracts from The Lord of the Rings and the artist also provides an extensive introduction illuminating the creation of the series and notes to accompany some of the major compositions. Many of the paintings appear for the very first time. Readers will find Cor Blok's work refreshing, provocative, charming and wholly memorable – the bold and expressive style that he created stands as a unique achievement in the history of fantasy illustration. Rarely has an artist captured the essence of a writer's work in such singular fashion; the author found much to admire in Cor Blok’s work, and what higher accolade is there? They say that Art is in the eye of the beholder as to what the viewer likes and enjoys. As a huge fan of the pieces that I’ve seen by Alan Lee as well as Tolkien’s own pieces it’s always interesting to see what others created to accompany the various scenes. Obviously with the films having been released in modern times many artists will use the beautiful scenes to help create an influence but to see pieces from the sixties as created by Cor Blok was not only fascinating but a new style for me which feels that it’s a mish mash of styles from across the centuries which may not appeal to everyone. Add to this the artist’s correspondence with JRR Tolkien himself and it’s a title that is fascinating and a coffee table item for fans of the series. The second in a major new series of historical thrillers featuring Giordano Bruno, philospher, scientist and heretic, for all fans of C.J.Sansom and The Name of the Rose. Autumn, 1583: Queen Elizabeth’s rule is under threat. Plans for an invasion to put Mary Stuart on the throne of England are secretly being laid. And an astrological phenomenon believed to herald the death of one age and the dawn of another has led to frenzied speculation of terrible events to come. 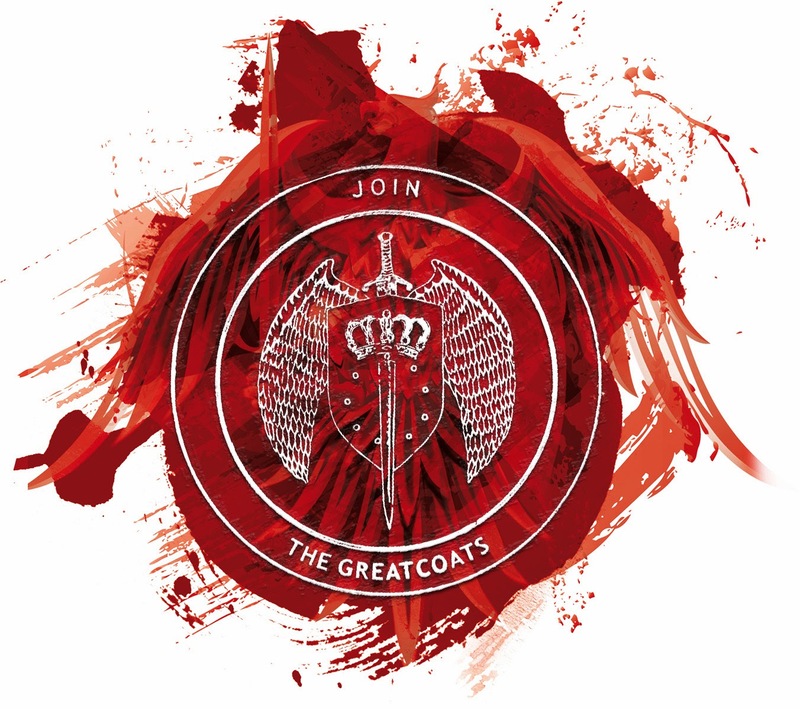 Giordano Bruno, the maverick and charismatic agent of Sir Francis Walsingham, spymaster to the queen, has infiltrated the plotters at the French embassy. His mission is to secure the evidence that will allow the execution of Mary Stuart and her cohorts for treason. But his position there is tenuous – while the ambassador trusts him, his beautiful and cunning wife Marie seems determined to prise out his secrets. I love not only historical fiction but also a good dark seething crime novel, so when the two combine it’s something that I really can’t pass up. When SJ’s first novel Heresy hit the floor last year, I really couldn’t wait to see what would happen next. It’s dark, it brings a world to the fore that I can only imagine and all in it’s a story that satisfies from the first page to the last. 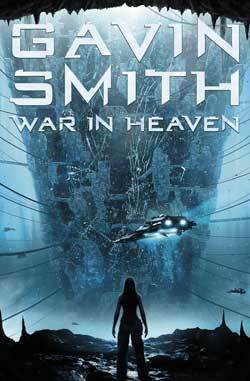 SJ’s descriptive prose works extremely well, the characters stand out and the arc moves along at quite a clip. Add to this some deliciously dark twists, a great modus operandi and an author who delivers something that surpasses the original. Cracking good fun. Add to this that whilst most are well known, you do get the chance to try some that you might not have dipped your toe in the water with before and it’s a great way to spend money and still have an excellent product at the end of the day with a chance to see if some of the others are for you. Finally throw into this the cover price and it’s a lot of boo for your buck. Great fun. Francesca DeVega is a successful healer in the city of Avel, wielding magical text to close wounds and disspell curses, but her life is thrown into chaos when a dead patient suddenly sits up and tells her to run. Now Francesca is in the middle of a game she doesn’t understand, one that ties her to the notorious rogue wizard, Nicodemus Weal, and brings her face to face with demons, demigods, and a man she thought she’d never see again. 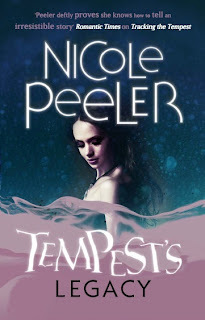 It has been ten years since Nicodemus Weal escaped the Starhaven Academy, where he was considered disabled and useless, where he battled the demon who stole his birthright and killed his friends. Unable to use the magical languages of his own people, Nico has honed his skills in the dark language of the kobolds, readying himself for his next encounter with the demon. But there are complications: his mentor suffers from an incurable curse, his half-sister’s agents are hunting him, and he’s still not sure what part Francesca DeVega will play. He certainly doesn’t know what to make of Francesca herself…. 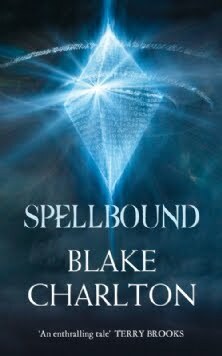 Introducing new twists to the unique magical system of Spellwright and uncovering more sinister dangers, Spellbound is sure to please Blake Charlton’s fans and earn him new ones. I love a good book and when I originally read the first story by Blake, Spellwright, I found a world that was novel, was innovative and was also a tale that glued me to a world that was solidly built. What this, the second book does for the reader is continue to build on what has gone before, brings a lead character that has a disability to the fore and whilst a lot of his struggles are personal, the overall arc really takes the tale to a new level. 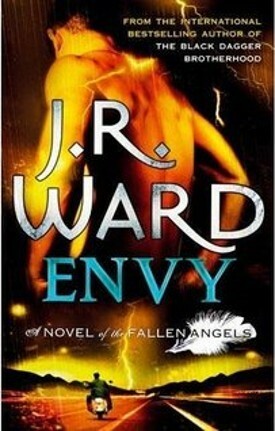 For me, this is one of my favourite new fantasy series and as such it’s one that not only deserves but should demand the readers time, finally wrap that up in a whole world of imagination that marks this author as one to watch and it’s a title that really has left me with a thirst for more. NEWS: THQ Partners up with Crytek for next Homefront game. 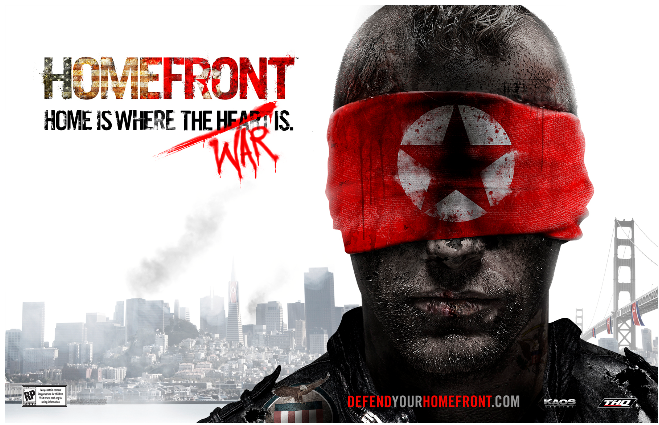 We've heard from our spy network at THQ that today announced that the next title in its Homefront® franchise will be developed by multi-award winning FPS veterans Crytek. "Selecting Crytek to take Homefront forward underscores our strategy of working with the industry's best talent," said Danny Bilson, EVP Core Games, THQ. "Homefront's unique setting and storyline captivated gamers the world over. With Crytek's industry leading technology and legendary experience in the FPS genre, we're supremely confident that the next Homefront will deliver that AAA-quality experience that players demand." "We see Homefront as a really strong universe that has a lot of potential and that has been expertly created and marketed by THQ," said Cevat Yerli, Founder, CEO and President of Crytek. "We believe that bringing our level of quality, creativity and production values to the next Homefront title, creates an opportunity for both THQ and Crytek to deliver a truly blockbuster game. It's really important to us that THQ has the faith in giving us a lot of creative freedom over one of its most important properties to allow us to bring the Homefront world to life in a new and innovative way." The first Homefront title was released in March 2011, and proved to be a commercial success for THQ. The yet to be named sequel is scheduled for release in THQ's fiscal year 2014 on console and PC platforms. A tale of murder, artistic rivalry and literary trickery; a chinese puzzle of a novel where nothing is quite what it seems; a narrator whose agenda is artful and subtle; a narrative that pulls you in and plays an elegant game with you. The Dream Archipelago is a vast network of islands. The names of the islands are different depending on who you talk to, their very locations seem to twist and shift. Some islands have been sculpted into vast musical instruments, others are home to lethal creatures, others the playground for high society. Hot winds blow across the archipelago and a war fought between two distant continents is played out across its waters. 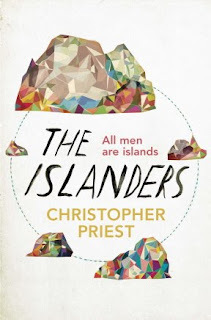 The Islanders serves both as an untrustworthy but enticing guide to the islands, an intriguing, multi-layered tale of a murder and the suspect legacy of its appealing but definitely untrustworthy narrator. It shows Christopher Priest at the height of his powers and illustrates why he has remained one of the country's most prized novelists. There are some authors who really should transcend genre and one of these is Christopher Priest who whilst he’s known for Science Fiction writes in a style of a magician (which is appropriate enough considering he wrote the Prestige) as he manages to distract you with subtlety so that you don’t notice what’s happened before he’s ready to reveal it to you. It’s wonderfully imaginative and whilst I haven’t read his whole back catalogue I did recognise some of the characters from having appeared in other titles. Add to this a wonderfully brusque descriptive manner and he’s an author who cuts to the heart of the story, making it character based and thought provocative. It’s clever, it has its own witticism about it and when you add the final touch of a story that was hard to put down its one that left me exhausted when I turned the final page. A real joy and one I’ll look forward to reading again. It is Midsummer, 1631. 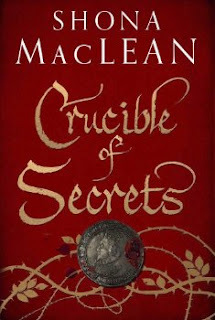 While Alexander Seaton and his fellow masters enjoy the holiday with their students, Robert Sim, librarian of Marischal College, is murdered in a dark alleyway in town. While the university and town authorities investigate the murder, Seaton is asked by the college principal to look into Sim's private life. In the course of an investigation in which his personal feelings threaten to cloud his judgement and endanger his young marriage to Sarah, he discovers a side to the librarian he could never have guessed at. 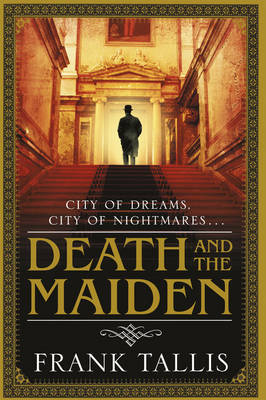 It is only when a second, apparently unrelated murder comes to light that Seaton begins to piece together the connections between a young weaver, a consignment of books, and events in a college in the Low Countries in order to unmask the perpetrator of the years'-old deception that led to the two deaths. As a huge reader, I always love it when a book interests me and I don’t know what to expect. Whilst the first part of this title takes its time to build when it gets going, its really a title that’s hard to let go of. The characters are interesting and people you want to hang around, the historical part draws you into a city that few can imagine and when you add some cracking prose as well as decent dialogue it’s a title that was a real joy to read. All in, I’m more than pleased that I stuck with it and will definitely be keeping an eye out for Shona’s next book to see how things develop. 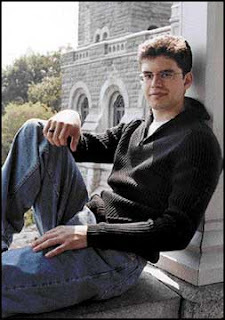 NEWS: Christopher Paolini Book Tour. 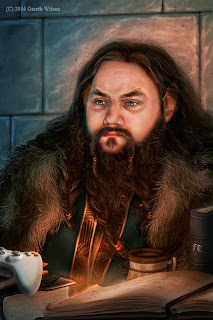 We've just had news from our friends at Random House who let us know that just weeks before the release of Inheritence, the final book in his Inheritence cycle (the previous being: Eragon, Eldest and Brisingr) that Chris will be visiting the UK on tour. "We have fresh flesh! We are delighted to announce that Little, Brown’s Online Marketing Manager Darren Turpin will be joining SF & fantasy imprint Angry Robot from 7th November, as Marketing & Digital Manager. Turpin will report to Angry Robot publishing director Marc Gascoigne, and work on promoting the full range of Angry Robot titles, as well as developing some currently unannounced new digital initiatives. (Yay, secret stuff!) Turpin had been at Little, Brown for three and a half years, originally working for the company’s science fiction and fantasy list, Orbit. He was also previously manager of the (legendary!) SF department at Waterstone’s Deansgate, Manchester, editor of their in-house SF magazine The Alien Has Landed, and one of the compilers of The Waterstone’s Guide to SF & Fantasy. Look out for him popping up here as soon as he’s gone through the implantation procedures." 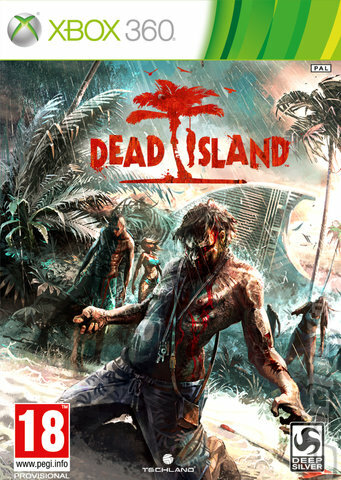 Set in an open world tropical island, hordes of different festering zombies await players around every corner while they embark on a variety of thrilling missions through the holiday resort. With firearms and ammunition being scarce the player must rely on utilising found items as weapons for self-defence and fight off zombie hordes in intense melee combat. A diverse range of items can be collected and will later serve to transform the player’s ordinary makeshift weapons into serious instruments of destruction. With the all-new Chrome Engine 5 powering Dead Island, the game will use the latest installment of Techland’s acclaimed proprietary game engine, allowing the player to experience the tropical island paradise in graphical splendour with diverse environments like lush forests and detailed city environments. Since the “family” advert to the game I’ve been more than interested in this title from Deep Silver. As such when the letter box slammed shut with an unearthly clatter, I knew that it had arrived. So, after ripping open the packaging like a zombie at an all you can eat brain buffet. I decided to have a swift training montage to get myself fully in the mood. So after a few Romero’s, a zombie story or two and of course “Thriller”ing (and no I categorically refused to Pan’s People around the front room to Boris and the Crypt-kickers) I was ready to roll. Let’s get things straight from the start, Dead Island is not big on story, it’s a game where you run around the island of Banoi, immune to zombie infection, battering, kicking as well as running the rotting undead over in various cars, doing missions for other survivors in order to help achieve everyone’s escape. It’s fun, it has some great effects and the character that you choose at the beginning effects your style of gameplay. Add to this the clever level up (where you can add various skills to your character in order to give them one up on the undead) and it’s a game that has all sorts of potential and differing options for each player’s personal style of play. The other thing that you have to add to this game is that it’s a massive free roaming environment, so at times if you’re not making careful use of the map, you can find yourself all over only to kick yourself at having explored too far and have to slog your way back through hordes to get back to the proper location. Finally add to the whole thing, various weapons with upgrade options, as well as the chance to make your own weapons from bits and pieces found around the island, and you know that the player will have a whale of a time in this zombie, blood, guts and brain smashing mash up which will last upwards of 30 hours (around 50 if you complete all the side missions.) Although if you’re looking for a complex plot such as Resident Evil you will be disappointed. Personally I’d say that this game will appeal to film fans of Dario Argento as well as George Romero and book fans of David Moody as well as Jonathan Maberry especially if you want lots of action and a good amount of splatter. A nice bit of fun all in and a title that I’ll be playing through a number of times to see the other characters skills in action. The second book in the series by Gavin Smith that continues his heavy military theme in a bleak Sci-Fi future. As with the first it’s cleverly devised, the plot has an incredible pace and the character is attractive enough to perhaps be the person to guide the reader through alive to the final pages. Add to this some clever descriptiveness, cracking dialogue alongside some clever twists and it’s a story that was satisfying as well as hitting that need to give you a real adventure. Finally add to this a better product than the original for me (as most of the work for the set-up has already been done) and it was a title that I enjoyed reading. Great stuff. This book guides the reader through the intricacies of identifying a piece of lace, listing and illustrating the points to look for in each lace. It covers the whole range of lace from all parts of the world, selecting for examination those major types which the collector or dealer is most likely to come across or hear about. The numerous photographs are arranged to assist comparison of diagnostic features and to put together laces which might be confused with one other so that their differences, sometimes subtle, can be appreciated. In fiction Sherlock Holmes could tell a lot about a person from what they wore to how they presented themselves and even from possessions within their household, yet one of the things that is often overlooked in modern times is Lace. It may not seem quite as glamorous now and feel restricted more to the mothballs of history or even old ladies dollies but it’s a subject that is not only fascinating but has as many different types as manufacturers throughout history. This book by Pat Earnshaw guides the reader through the origins to the various available sources as well as the different types with a mix of wonderful illustrations and photographs and whilst this title was originally released a few years back its one that fans of material really need to pick up and indulge themselves with. Add to this a comprehensive easy to follow guide, examples from various times as well as handcrafted over machined and it is a subject that when you get down to it can be just as fascinating from the social history as it is from the rich surcoat's to which many were added centuries ago. All in this is a wonderful release by Shire and one that was a real joy to read. Vienna 1903. An operatic diva, Ida Rosenkrantz, is found dead in her luxurious villa. It appears that she has taken an overdose of morphine, but a broken rib, discovered during autopsy, suggests other and more sinister possibilities. Detective Inspector Oskar Rheinhardt seeks the assistance of his young friend, the psychoanalyst Dr. Max Liebermann, and they begin their inquiries at Vienna’s majestic opera house, where its director, Gustav Mahler, is struggling to maintain a pure artistic vision while threatened on all sides by pompous bureaucrats, vainglorious singers, and a hostile press. When the demagogue Mayor of Vienna, Karl Lueger, becomes the prime suspect - with an election only months away - the Rosenkrantz case becomes politically explosive. The trail leads Rheinhardt and Liebermann, via a social climbing professor of psychiatry, to the Hofburg palace and the mysterious Lord Marshal’s office – a shadowy bureau that deals ruthlessly with enemies of the ageing Emperor Franz Josef. As the investigation proceeds, the investigators are placed in great personal danger, as corruption is exposed at the very highest levels. Meanwhile, Liebermann pursues two private obsessions: a coded message in a piece of piano music, and the alluring Englishwoman, Miss Amelia Lydgate. Romance and high drama coincide as the Habsburg Empire teeters on the edge of scandal and ruin. Frank has been one of those authors that tends to throw a curve ball at me, as he delivers a novel that is unexpected, has great characters and a suitable enough twist to keep you guessing throughout. It has decent pace, top notch prose and of course an author who knows how to fool the reader with sleight of hand tricks from start to finish revealing the solution in such a way that you feel almost like an idiot for having missed some of the elements. As usual with the authors style the title is sold on the characters and with the success of Max and the inclusion of some well-known Viennese real life inhabitants it creates a story that is believable as well as full of promise. Cracking stuff. This book provides a general summary of the history of European firearms, from the earliest designs which appeared during the Middle Ages through to the mechanised weapon production of the Industrial Revolution. Covering the dual inventions of gunpowder and the gun, the development of reliable firing mechanisms, improvements in accuracy and rate of fire and the revolutionary changes brought about by the application of scientific and industrial processes, Michael Spencer explains the technical evolution of the firearm and analyses what drove these changes. Built around an accurate dating framework, this is an invaluable resource for both military historians and firearms collectors, and includes an array of illustrations of rare firearms, difficult to find elsewhere in print. Whilst many are familiar with the swords and armour throughout history, very few are as up to date with the firearms that were to become the lead decider on the battlefield. As such to find a title that deals with this period of history of these fascinating weapons of destruction (which could be just as damaging to those who fired the things) is a real find. Here in this Shire book by Michael Spencer, is a title that presents the history in an easy to understand way, taking you though the various developments so that you can see the battlefields of old in a new light. It’s clever, its reader friendly and rather than bog you down with unnecessary detail, and it’s a book that keeps it all too easy to understand parlances rather than all the technical. For me, as a reader it was a wonderful excuse to conduct some research and with the myriad of images to back up the title, it’s a book that I will be referencing quite a few times when I write either historical fiction or fantasy as some of the weapons within are the result of either a genius or a madman (and you know how close those two can be at times.) Wonderful. This book describes the life of a pirate in the early 18th century, the ‘Golden Age of Piracy’. It charts the way these men (and a few women) were recruited, how they operated, what they looked like and what prospects their lives held. In the process the book strips away many of the myths associated with piracy to reveal the harsh realities of those who lived beyond the normal bounds of society. Written by pirate expert Angus Konstam, the book draws on decades of research into the subject, and pulls together information from a myriad of sources including official reports, contemporary newspaper reports, trial proceedings and court testimony last words on the scaffold, letters and diaries as well as archaeological evidence and relevant objects and artefacts from museum collections on both sides of the Atlantic. 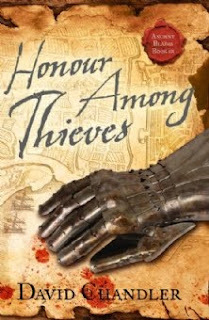 A must have for fans of the classic pirate stories or warfare in the early 18th century. I love these titles by Osprey as they bring the world of another age to the modern reader in an easy to comprehend, informative as well as entertaining way, especially when added alongside the cracking artwork of Giuseppe Rava to bring it all to life. It’s well written, it brings the characters of the age to life and it allows the reader to find pieces of information that is not only interesting but something that they’re going to remember for a long time. Add to this a lot of solid research, great informative backgrounds as well as a roundup of events to the time period involved and it’s a book that might be worth getting for your own little freebooter, especially with all the interest around the Pirates of the Caribbean films. When allies become enemies, to whom can a clever thief turn? Armed with one of seven swords forged at the dawn of time, Malden was chosen by Fate to act as saviour…and failed dismally. Deceived by the trickery of his one-time ally, Mörget, the young thief employed his newfound might to help destroy the naturally barrier protecting the kingdom of Skrae – and now there will be no stopping Mörget’s barbarian hordes from pillaging the land. Suddenly friends and former supporters alike covet the young hero’s magic while seeking his destruction – from the treacherous King and leaders of the City of Ness to the rogue knight Cloy, who owes Malden his life. The final part in David Chandler’s Ancient Blades trilogy and one that builds up to the crescendo for one hell of a final confrontation as the events from the previous play out to their epic conclusion. 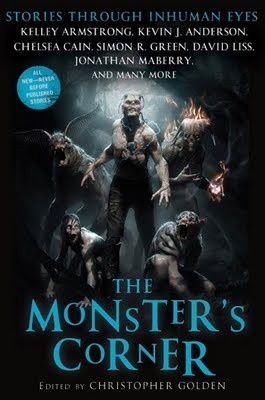 Whilst I had problems with the first book, the second picked up and the third continued in much the same vein allowing the reader to get a full blooded fantasy adventure and one that satisfied when the final page was turned. 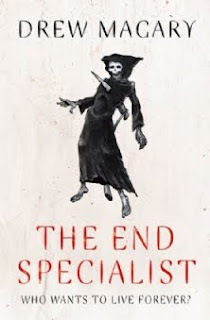 It was definitely an interesting series, the prose for the final was solid and with a principle player that I could really get behind made this a real joy to read. Great stuff. NEW: Abaddon Puts the Reader in Charge. "Abaddon Books is delighted to announce a bold new venue in genre publishing – one where the readers are in charge! Time’s Arrow will be the latest book from the world’s longest continuously running Steampunk novel series, Pax Britannia. Set in a world where the Victorian age never ended, Pax Britannia is an insane world of high technology and rip-roaring adventure. The big difference with Time’s Arrow? Each instalment will be published as an ebook and, at the end of each of the first two, readers will be able to vote on where THEY want the story to go. Once all three instalments have been published, they will be bound together into a print edition. The first part of the book will go live online on October 11th, with the vote for what happens next closing on December 11th. Merging the best of print and online, Abaddon is proud to engage in such an exciting experiment – one where readers actively have a say in how the book is written. 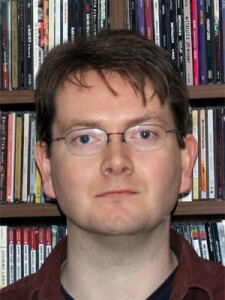 Jon Green has written titles in the legendary Fighting Fantasy series and created seven of the critically-acclaimed Pax Britannia books for Abaddon. “I am passionate about the whole Steampunk milieu, and the world of Pax Britannia in particular, while my first forays into writing professionally were adventure gamebooks,” says Jonathan Green. “To marry elements of both is a fantastic opportunity for me as a writer and I, for one, can't wait to see how the story pans out!”"
Add to this Richelle’s wonderfully snarky writing style, so great one liners and of course a foil dress which wraps the whole thing up nicely. Great stuff. Niccolò Polo, father of Marco, will finally reveal the story he has kept secret all his life - the story of Altaïr, one of the brotherhood's most extraordinary Assassins. Altaïr embarks on a formidable mission - one that takes him throughout the Holy Land and shows him the true meaning of the Assassin's Creed. To demonstrate his commitment, Altaïr must defeat nine deadly enemies, including Templar leader, Robert de Sable. 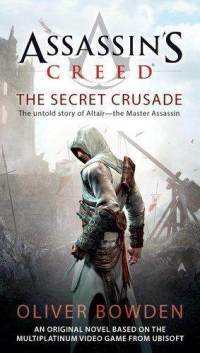 Altaïr's life story is told here for the first time: a journey that will change the course of history; his ongoing battle with the Templar conspiracy; a family life that is as tragic as it is shocking; and the ultimate betrayal of an old friend. To be honest I’m a huge fan of the Assassin’s Creed games and with the new one, Assassin’s Creed Revelations out for the 15th November, thought that I’d give this title by Oliver Bowden a go. What Oliver does well is bring the game to the readers market with solid prose as well as great pace. Add to this a solid understanding of lulls and peaks and the reader is more than happy to a certain degree. Where this title goes wrong in my opinion is that the author seems to get a better feel for the character as he writer’s later parts to the tale that expand further from the games to allow him a bit more freedom. Don’t get me wrong in a game to book translation it is pretty good but I feel that when he’s stuck in a linear route that the author doesn’t get as much to play with as he’d have liked. All in a reasonable title and one that will while away some time whilst you wait for the new game. Anyone's life can change in an instant. 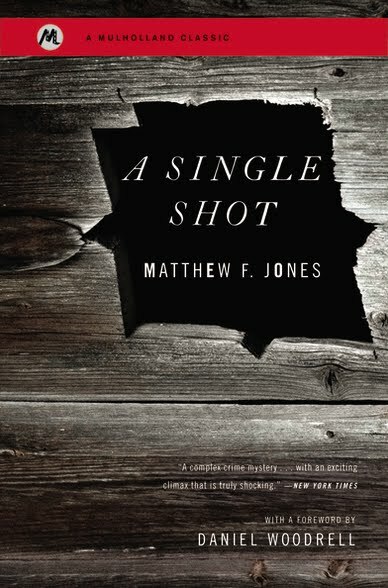 In Matthew F. Jones's acclaimed novel, one man's world is overturned with a single shot. Trespassing on what was once his family's land, John Moon hears a rustle in the brush and fires. But instead of the deer he was expecting, he finds the body of a young woman, killed by his stray bullet. A terrible dilemma is made worse when he stumbles upon her campground - and the piles of drugs and money concealed there. Moon makes his choice: he hides the corpse, and takes the cash. His decision will have consequences he can neither predict or control. Mulholland continue to go from strength to strength as this release proves. Whilst a well-known US classic, this title is one that many in the UK may not have heard of let alone read, yet when you pick it up, it’s a novel that will remain with you long after the final page has been turned. It has a great lead character, inner turmoil and of course a whole host of dilemma’s that the character has to figure his way out of as he tries to cleanse his own conscience. Add to this some wonderfully descriptive prose, cracking pace and a hint of Lady Macbeth about the whole piece leaves this chilling story working its way through the reader’s imagination longer than a cold winter’s night. A must read. 1565: a small island in the middle of the Mediterranean stands gatekeeper between East and West. 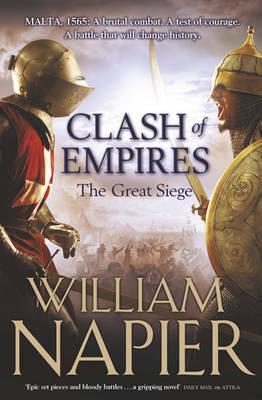 It is about to become the scene for one of the most amazing stories of bravery, battle and bloodlust: the siege of Malta. Formed in the Holy Land in the 11th century, a small band of knights had long sought a home. Driven from their lands by Ottoman might, they came to rest in Malta from where they watched the Turks and corsairs raid the Spanish empire. As word came from Constantinople that Malta was in the sights of the Ottoman Empire, all of Europe watched as a force of over 30,000 men besieged the island - itself only peopled by only 500 knights and a few thousand local soldiers. On that small rock an epic struggle will be played out - the story of individual men, warriors and slaves, but also the story of two worlds colliding. A brutal combat. A test of courage. A battle that will change history. Following the disaster of his Atilla series (the later books not the first) readers have been demanding something special to reward their faith in this author. Whilst I was lucky enough to miss some of the titles in the earlier series I was a little worried about starting this title and to be honest it was put on a back burner for a little while. Finally when some time freed up I was quite pleased that I saved this to be able to take my time with. As with the first Atilla title, it’s well written, the characters are outstanding and the action is top notch to keep the historical fiction fan entertained. Back that up with characters that you care about as well as a wonderful turn of phrase and prose which made this a cracking read from start to finish. Finally add some good dialogue as well as a solid plot from start to finish and the reader will more than be rewarded with their time. A great book and a title that demonstrates that Napier is back to his best. The Minister for Defence is blown to smithereens in his car on a lonely road in the Brecon Beacons, where he has a weekend hideaway. DI Ned Bale is on the crime scene within seconds, but neither he nor forensics can work out how on earth the crime was committed, let alone who did it, or with what motive. That is until one fingerprint is found on one tiny fragment of the explosive timing device. The fingerprint of Ned Bale's closest ally in the Force, dog handler Kate Baker. But how on earth could her fingerprint be on a terrorist's bomb. Far away on bomb disposal duty in Afghanistan, Kate has to be questioned. But Kate herself has become involved with someone extremely plausible, attractive and dangerous. The mystery which unravels through this gripping thriller is completely unexpected. 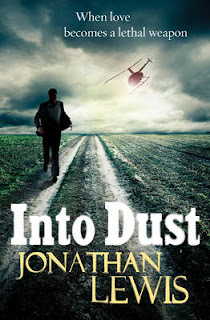 Jonathan Lewis returns to the crime scene with the second Bale and Baker novel (the first being Into Darkeness.) What Lewis does well is present the reader with a couple of credible lead characters that they want to get to know as well as hang around. For me that’s key to any title. Add to this some great prose, cracking pace as well as some top notch twists that keep you glued to the end and it was a story that I really enjoyed. I look forward to seeing what Jonathan comes up with next. 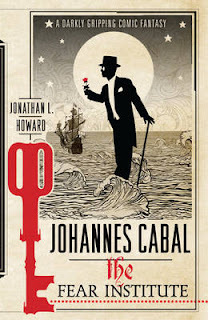 To be honest with you since Jonathan burst onto the scene a few years back with the original Johannes Cabal novel, I’ve had these as a bit of a guilty pleasure. They’re witty, they have great plot lines and the characterisation is immense fun, add to this an antihero with a taste for the pithy one liners and it’s a series that for me is cult following. What makes this series work is the intricate story lines that the author throws against the lead character, they’re dark, they appeal to his curiosity and whilst the proverbial cat is always in dire straits our hero finds way to get out of the trouble. It’s intriguing, it has great prose and when you add a unique writerly voice to the overall arc it is something that there really isn’t anything else similar out there. 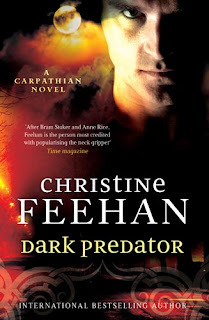 Finally add a whole host of twisted fun with a character who twisted the devil’s tail and lived to tell the tail and you know that it is something you really have to read. After a peaceful hiatus at home in Rockabill, Jane True thinks that her worst problem is that she throws like a girl - at least while throwing fireballs. Her peace of mind ends, however, when Anyan arrives one night with terrible news ...news that will rock Jane's world to its very core. After demanding to help investigate a series of gruesome attacks on females - supernatural, halfling and human - Jane quickly finds herself forced to confront her darkest nightmares as well as her deepest desires. And she's not sure which she finds more frightening. OK, let’s be honest here, the Jane True series is a bit of a guilty pleasure of mine, I love the way that Nicole writes the characters, I love the snark and I love the fact that the lead character isn’t the usual muscle bound fight her way out of any situation but uses smarts. It works for me and it’s refreshing, which when backed with a whole host of cracking secondary cast members makes this a series that’s hard to put down. 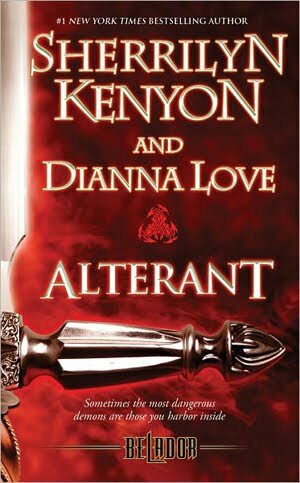 Add to this top notch prose, great pace as well as some clever twists to keep you guessing which when added to her own unique authorly writing style keeps this series moving along as well as fresh. It’s good adult fun all the way which when backed with so many deliciously dark delights, makes this hard to put down once it gets it’s hidden claws within you. Jet, a hard, black, shiny gen, closely related to coal, has been fashioned into jewellery and trinkets for generations, but during the Victorian period, when the ritual surrounding death and the long mourning of Queen Victoria made black fashionable, jet became hugely popular. Although jet is found elsewhere in the world, it is the jet from Whitby that excites collectors and even jet jewellery manufactured elsewhere is often called Whitby Jet. This book traces the history of jet and the Whitby jet industry, Different types and styles of jet jewellery are examined, and the work of some of the best-known Whitby craftsmen is pictured. Whilst many people are familiar with family heirloom jewellery made from Gold or Silver or even the paste from the Art Deco period, few are familiar with Jet which was made popular in the Victorian Era by the Queen herself during her long mourning period. This title by Helen and Kate Muller, celebrates the craftsmen of the period as well as this quirky jewellery in this informative, well written title about this phenomena. Add to this a lot of illustrations/photographs to demonstrate the versatility of the medium as well as examples that back up the author’s point of view and for those interested in the history of Jewellery this is a wonderful title to own. All in, this book was something that I really enjoyed reading and whilst a lot of the jet jewellery out there is known as Whitby Jet, it’s to the originators as well as proud history of the area to which this book alludes. Great stuff.